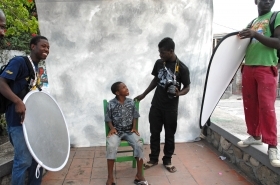 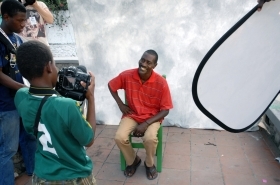 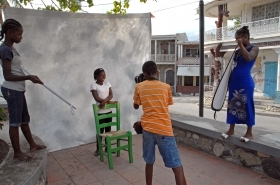 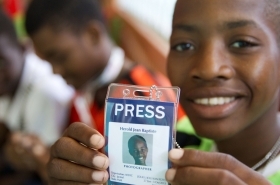 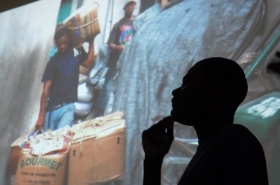 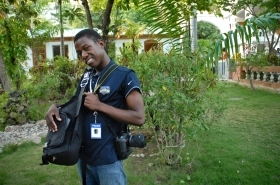 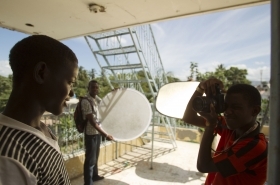 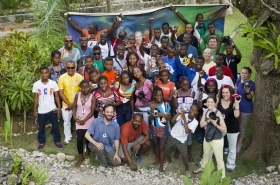 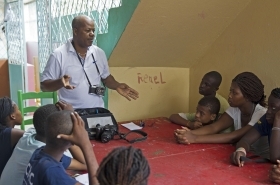 Michou Joissaint, a 17-year-old Haitian student, takes part in “Jouk Li Jou Kan Foto” a photography workshop in Jacmel, Haiti organized by the US based non-profit organization, Zanmi Lakay. 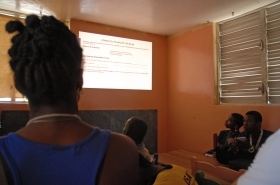 Michou describes her experience in the workshop and some of the assignments she has done including covering the 2010 Haiti Earthquake. 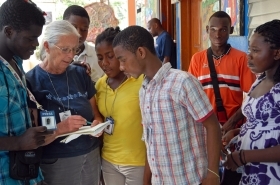 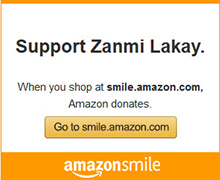 – Sponsor 4 Cité Soleil advanced students – $300 covers food, lodging, and transportation for each.